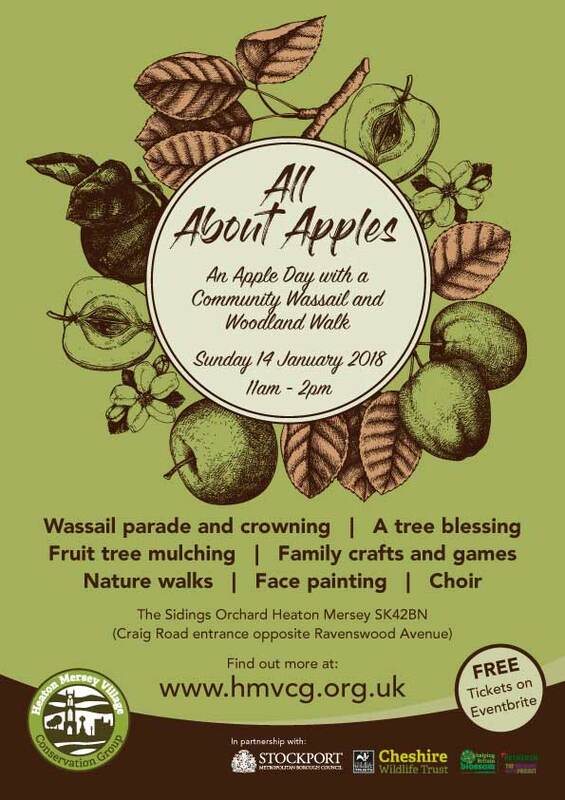 Come along on Sunday 14th January 2018 to your local community orchard to celebrate apples and enjoy an afternoon of fruit themed fun. We are also marking the grand opening of your new woodland walk. Join in the orchard tree dressing and blessing and make a tree happy, transform the childen with magical face painting, test your skills against friends and family with a host of traditional games with a fruitful twist, boost your creativity with practical crafts, indulge in home made cakes and hot drinks, enjoy a singing sensation and find out about your green space and how to get involved in future activity. We are delighted to have the support of Helping Britain Blossom to lead the wassailing as well as Cheshire Wildlife Trust and Stockport Council’s greenspace team. And, the Mayor of Stockport and her consort (Councillor Linda Holt and Mr Ken Holt) who will be opening the newly improved Woodland Walk. Other contributors are the highly popular ‘Do Your Thing’ community choir and the Heatons WI with their fabulous homemade apple cakes. And, making her first appearance will be Millie the mole as HMVCG’s mascot. At just over 80cm tall, Milly is a world record holding mole and is quite unmistakable with her long grey snout and gorgeous black velvety coat. She will be taking visitors at the HMVCG tent where she will encouraging people to guess the weight of worms her little brother Malcome can eat in a day. She is looking forward to seeing you all. 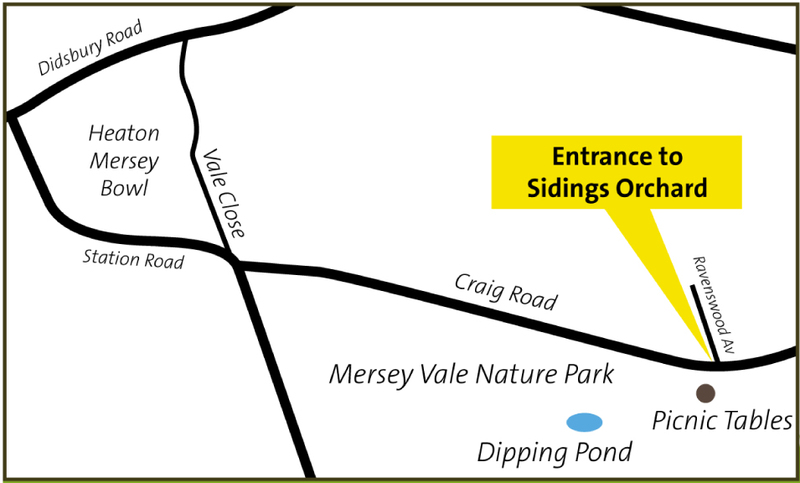 Where to go: the nearest road entrance to the Sidings Orchard in Mersey Vale Nature Park is Craig Road, opposite Ravenswood Avenue, SK4 2BR. See map below right. All ticket holders/attendees should keep children or vulnerable adults (VA) with them at all times. Please read our HMVCG Lost children and Vulnerable Adults (VA) Policy for information on what to do in the case of a lost child or vulnerable adult. Would you like to help make this event happen? Click here to get in contact with us.